Peninsula Clean Energy solar customers can enroll in the Net Energy Metering program. Net Energy Metering (NEM) is a special billing arrangement that allows customers with solar PV systems to get the full retail value of the electricity their system generates. Your meter tracks the difference between the amount of electricity your solar panels produce and the amount of electricity you use during each billing cycle. When your panels produce more electricity than you use, you receive a credit on your bill. Net energy metering customers may have months where they are net consumers (using more electricity than their solar panels generate) or others where they are net producers (using less electricity than their panels generate). The ECOplus customer would pay $53.18 for the month. *300 kWh monthly usage; summer season. **For PG&E NEM customers, billed charges are commonly settled on an annual basis with such customers subject to certain minimum monthly charges prior to the annual true-up process; in this example, the PG&E NEM customer would be sent a bill for approximately $10 (minimum monthly charge) with the balance of charges and credits tracked until the annual true-up period. The ECOplus customer would receive a $21.98 credit for the month. *25 kWh net monthly production: 250 kWh net production during peak period; 150 kWh consumed during partial peak; and 75 kWh consumed during off peak; summer season. **For PG&E NEM customers, billed charges are commonly settled on an annual basis with such customers subject to certain minimum monthly charges prior to the annual true-up process – for this example, the minimum customer charge approximates $10 with accrued credits carrying forward to offset future charges. APPLICABILITY: This net energy metering (NEM) schedule is applicable to a customer who uses an eligible Renewable Electrical Generation Facility, as defined in PG&E’s Electric Schedule NEM (http://www.pge.com/tariffs/ERS.SHTML#ERS), within the capacity limits described in PG&E’s Electric Schedule NEM that is located on the customer’s owned, leased, or rented premises, is interconnected and operates in parallel with PG&E’s transmission and distribution systems, and is intended primarily to offset part or all of the customer’s own electrical requirements (hereinafter “eligible customer-generator” or “customer”). This rate schedule is available on a first-come, first-served basis, subject to the participatory limit(s) established in PG&E Electric Schedule NEM (the “participatory limit”), to customers that satisfy all necessary application, interconnection and inspection requirements (as described in PG&E Electric Schedule NEM). This NEM schedule also applies to customers served under NEMV (Virtual Net Energy Metering), NEMVMASH (Virtual Net Energy Metering for Multifamily Affordable Housing), NEMA (NEM Aggregation) and Multiple Tariff facilities as described by PG&E Electric Schedule NEM. Once the participatory limit has been reached, this NEM schedule will be closed to new customers. TERRITORY: The entire Peninsula Clean Energy (PCE) service area. RATES: All rates charged under this NEM schedule will be in accordance with the eligible customer-generator’s otherwise-applicable PCE rate schedule (OAS). An eligible customer-generator served under this schedule is responsible for all charges from its OAS including monthly minimum charges, customer charges, meter charges, facilities charges, demand charges and surcharges, and all other charges owed to PCE or PG&E – any applicable PG&E charges will be addressed in a corresponding tariff (http://www.pge.com/tariffs/ERS.SHTML#ERS). Charges for energy (kWh) supplied by PCE, will be based on the net metered usage in accordance with this NEM schedule. For a customer with Non-Time of Use (TOU) Rates:The cost/(credit) associated with any net usage/(production) during the customer’s normal billing cycle shall be determined as follows: If the eligible customer-generator is a “Net Consumer,” as determined by usage exceeding production during a discrete billing cycle, the eligible customer-generator will be billed in accordance with the eligible customer-generator’s OAS. If the eligible customer-generator is a “Net Generator,” as determined by production exceeding usage during a discrete billing cycle, the net energy production shall be valued at the OAS plus a NEM production premium of $0.01/kWh. The value of all net energy production during the billing cycle shall be credited to PCE customers as described in Section (c). If the eligible customer-generator is a Net Consumer (as defined above) during any discrete TOU period, the net kWh consumed during such period shall be billed in accordance with the eligible customer-generator’s OAS.If the eligible customer-generator is a Net Generator (as defined above) during any discrete TOU period, net energy production during each TOU period shall be valued in consideration of the eligible customer-generator’s OAS plus a NEM production premium of $0.01/kWh, applying OAS rates to the quantity of energy produced within each TOU period. The value of all net energy production during the billing cycle shall be credited to PCE customers as described in Section (c). Monthly Settlement of PCE Charges/Credits:NEM customers will receive a statement in their monthly PG&E bills indicating any accrued charges for their usage during the billing cycle. Customers who have accrued credits during previous billing cycles will see these credits applied against current charges. Any remaining balance will be due and must be paid in consideration of the due date and remittance advice reflected on each PG&E bill. When a customer’s net energy production results in a net bill credit during any billing cycle, the value of any net energy production during the billing cycle shall be noted on the customer’s bill and carried over as a bill credit for use in subsequent billing period(s). PCE Annual Cash-Out: During the April billing cycle of each year, all current PCE NEM customers with a credit balance of more than $100 will receive a check from PCE as compensation for the accrued credit balance; this credit balance will be determined as of the customer’s March billing cycle. Customers will have an equivalent credit removed from their NEM account balance at the time of check issuance. Customers who have a credit balance of less than $100 will have their credits carried over as a bill credit for use in subsequent billing period(s). Customers who close their electric account through PG&E or move outside of the PCE service area prior to the April billing cycle of each year are also eligible for the annual PCE Cash-Out process. Return to PG&E Bundled Service: PCE customers with NEM service may opt out and return to PG&E bundled service at any time. Customers should be advised that PG&E will perform a true-up of their account at the time such customers return to PG&E bundled service. As described in PG&E Electric Rule 23 (http://www.pge.com/tariffs/ER.SHTML#ER), certain PCE customers returning to PG&E service may receive Transitional Bundled Service (TBS) for a limited period of time; TBS will expose such customers to various market price risks – please review PG&E’s applicable electric rules and tariffs for additional information. If a PCE NEM customer opts-out of the PCE program and returns to bundled service, that customer may request a cash-out payment, described above in Section (d), for any generation credits that remain on the account, provided that such request is received by PCE within 90 calendar days of the customer’s return to PG&E service. PG&E NEM Services: PCE NEM customers are subject to PG&E’s terms, conditions and billing procedures for any non-generation services, as described in PG&E’s Electric Schedule NEM and related PG&E tariff options addressing NEM service. Customers should be advised that while PCE reconciles payment/credit balances for generation on a monthly basis, PG&E will continue to assess charges for delivery, transmission and other services. Most NEM customers will receive an annual true-up from PG&E for these non-generation services. How Does NEM 2.0 Work for PCE’s Solar Customers? Net energy is the energy you produce minus the energy you consume. Net Energy Metering (NEM) is the process of measuring and valuing the balance between the energy you produce and consume over time. Traditionally, utilities have taken an approach to NEM that involved installing a meter that would run “both ways” – forward if the customer was consuming more energy than they were generating, or backward if they were generating more than they were consuming. Depending on how much energy the customer’s system generates and their consumption, they might end up with either a charge or a credit for the month. If the customer participated in a time-of-use plan, they could also export electricity to the grid when rates are higher, and use electricity when prices are lower during certain periods, like at night. In this case, the customer might actually get a credit for the month, even though they’ve used more energy than they’ve exported. The credits a customer accumulates in a given month can offset the charges they receive in other months. This initial approach to balancing usage charges and generation credits is now called NEM 1.0. The California Legislature recognized that NEM 1.0 created a potential cost shift from customers who installed renewable generation to customers who could not or who chose not to. Consequently, the Legislature directed the California Public Utilities Commission to design a new tariff that could address the inequitable impact on rates while still preserving a healthy market for on-site renewable generation. 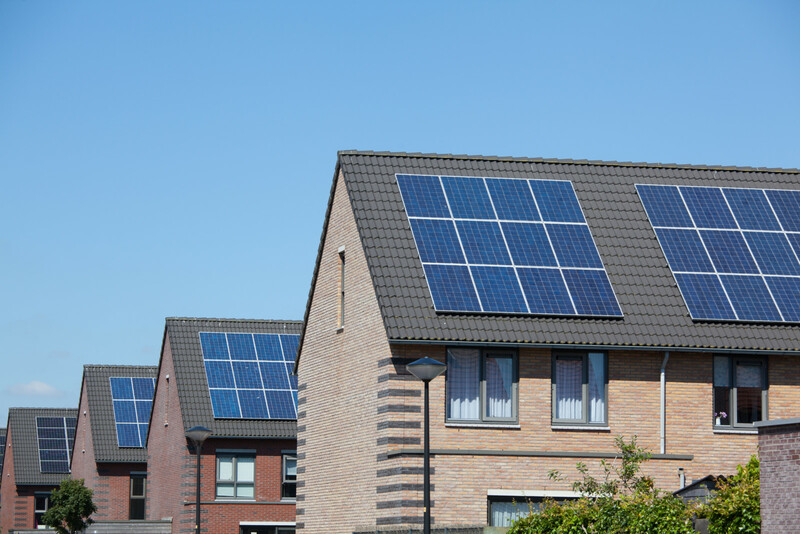 In response, California regulators, solar advocates, and utilities worked to create a successor tariff known as NEM 2.0. All NEM 2.0 customers must take service on time-of-use (TOU) rates. There is no longer a 1MW size limit on NEM projects. The generator can be sized to generate up to the customer’s annual load. There is a one-time flat $145 interconnection fee for generators sized 1 MW or less. Larger projects will have a cost-based fee. Customers will remain on the NEM 2.0 tariff for 20 years from the year of the original approval from PG&E to interconnect and operate their system. Customers on NEM 1.0 will be grandfathered in NEM 1.0 for 20 years from the year of their original entry into PG&E’s net metering program.